We headed down to see Santa! Preston might have been a little excited! With his double sided list and taped on extra piece of paper! He might want a thing or two this Christmas. Luckily we didn't have to wait all that long before it was our turn! 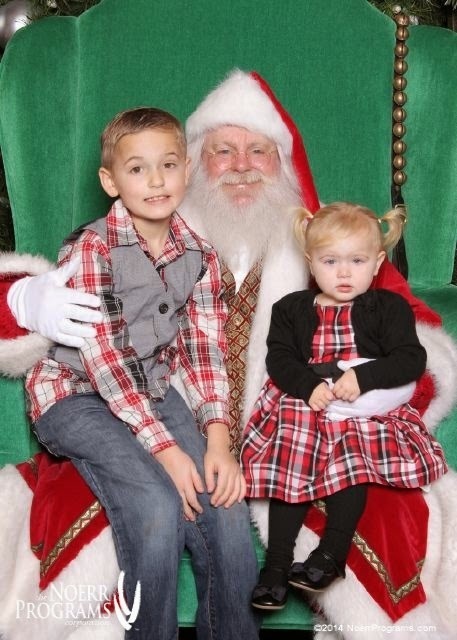 At least luckily for Preston who was ready to hop on Santa's lap and get down to business! There were no actual tears but she got close with a full on pout. Not going to lie I was kind of hoping for a screaming baby photo. Look how cute they look! Santa's lap check. We're almost ready for Christmas!